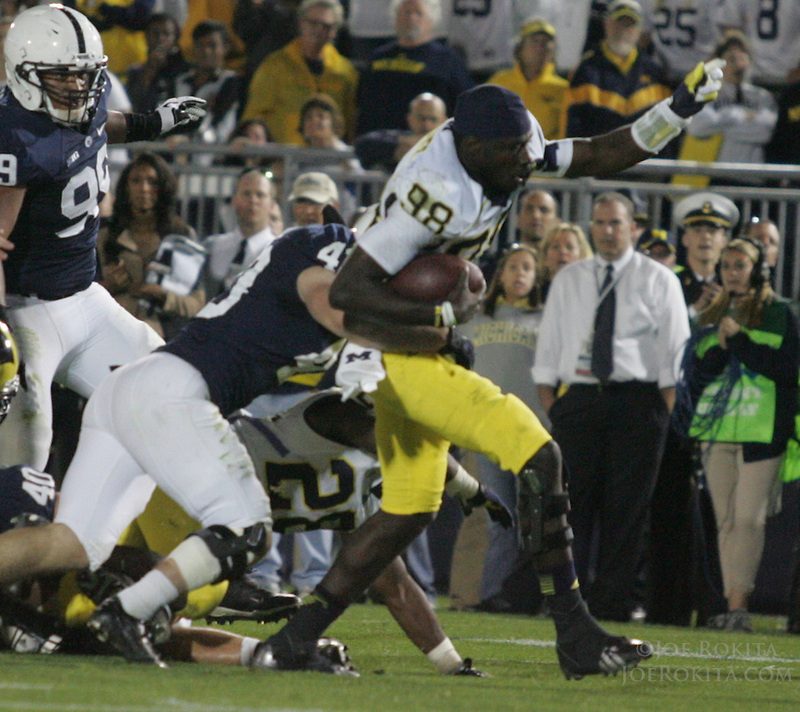 State College, PA - 10/12/2013: Michigan QB Devin Gardner (98) has his helmet removed during a run. Gardner was 15 for 28 for 240 yards and 3 touchdowns. Penn State defeated Michigan by a score of 43-40 in 4 overtimes on Saturday, October 12, 2013, at Beaver Stadium.